Comparison shop for lab supplies and equipment from the vendors you love to make sure you get high quality, reliable products at a competitive price. Shopping for lab supplies and equipment has never been so easy. Login to one account, add products from different vendors to your shopping cart and go through one auto filled checkout process. 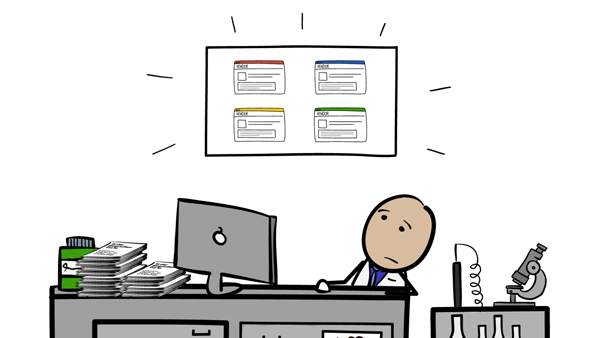 No more order requisitions by email, forms, or stickies. 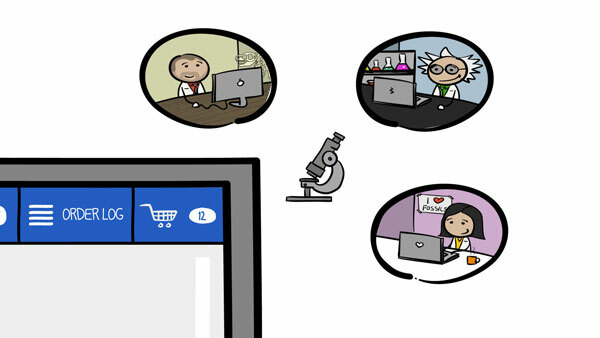 Say hello to the Shared Shopping Cart, allowing your entire lab team to shop together without making duplicate orders. or use a Credit Card. Instantly place your order by using a credit card or P-card online via our secure servers. You can also draft one purchase order to Labscoop by electronically generating a PO or attaching your own and we'll take care of the rest. Read peer-reviews, ratings and citations to make sure you're getting a high quality, reliable product. You'll also have access to detailed product specifications and technical documents. updates to all lab members. You can tag select members of your lab to be included in the order. 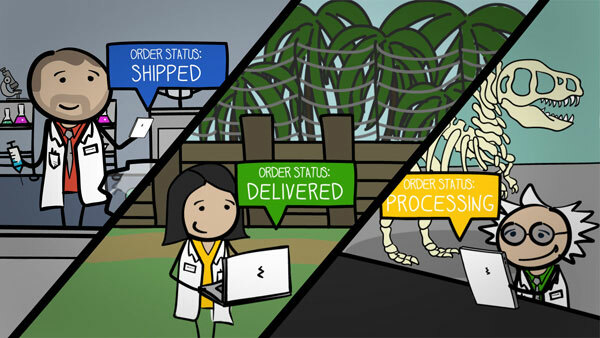 This will allow everyone associated with the order to get important order status and delivery updates, tracking info and electronic invoices. Already get institutional pricing? Just enter your account number and get this special pricing on all your orders through Labscoop. Be sure to also look out for special limited time offers from select vendors.